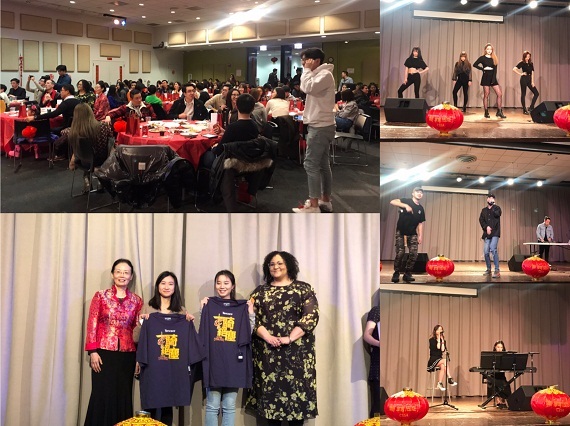 On February 14th, 2019, Columbia College (CC) in Chicago hosted its 2019 Spring Festival Gala. 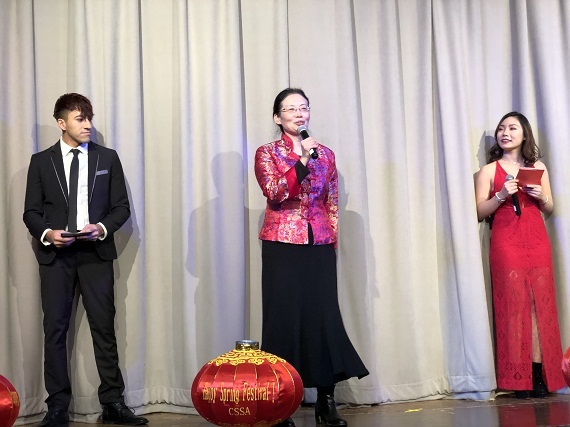 The event was organized by CC’s Chinese Students and Scholars Association (CSSA). Over 200 Chinese students and scholars, along with friends from all over the world, came to enjoy the evening’s wonderful performances. 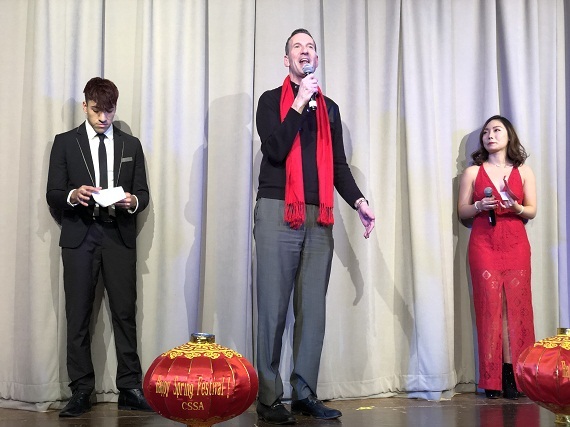 Clare Lake, Director of CC’s International Student and Scholar Services Office, commented that the Chinese New Year is a holiday full of energy and joy. He then thanked the Chinese students for bringing such a diverse cultural atmosphere to the school. Director Lake affirmed that CC will continue providing the best of service to all its international students and scholars. The evening’s atmosphere was thrilling. Event-goers gobbled down Chinese goodies while viewing talented vocal, instrumental, dance, and comedy performances, cheering on the performers with ever-louder, ever-longer applause. Such was the festive atmosphere, full of unbridled joy and holiday peace, of the evening’s New Year celebration.